The outspoken boss of Fiat Chrysler Automobiles has just confirmed a Fiat badged version of the Mazda MX-5. Sergio Marchionne spilled the beans at the Geneva Auto Show and even divulged that the Italian version would be named the Fiat 124 Spyder. Few details are known, however it’s likely that the two cars will share similar underpinnings while Fiat is likely to inject more of their corporate styling rather than just tacking on some Fiat badges. It’s also possible that Fiat may drop in their own engines such as the 1.4 litre multi-air turbo found in the Fiat 500 Abarth and the Dodge Dart Rallye. 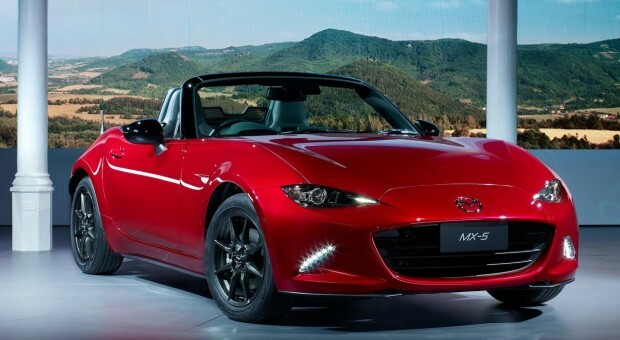 Mazda updated the long-awaited fourth generation of the cult-following MX-5 late last year. It was later revealed that the North American version would get a 2.0 litre engine producing 155 horsepower. Marchionne also confirmed that there will be an Alfa Romeo roadster coming down the pipelines as well, however it’s likely to be a lot less related to the Mazda/Fiat combo and didn’t offer up any more details other than it will be built in Italy.